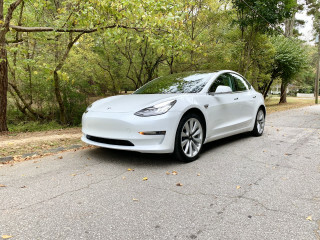 The Tesla Model 3 is Green Car Reports' Best Car To Buy 2019. It’s the second time a Tesla product has won our annual award, which was captured by the Tesla Model S in 2013. Many have called the Model 3 Tesla’s “iPhone moment.” But that was the Model S—the shock to an auto industry that had dismissed its very premise as unfeasible. The Model 3 looks well beyond that. It’s a brave, distinct product that makes no attempt to measure up to anything else on the road. And in some ways, it’s the future. On design and engineering, the Model 3 is probably the most advanced electric car in the world. 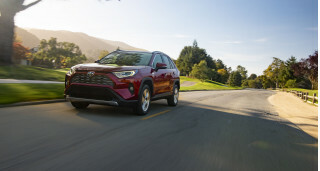 It’s the only entire platform we’re aware of for a mass-market vehicle that’s on the market now and currently can, with over-the-air updates, extensively change virtually all of its systems and driving parameters. We have mixed feelings about the Model 3 as a product. We’ve found little to fault so far (in limited time) in its driving manners. It handles like a quick, taut, precise sport sedan; rides quite well; and generally offers impressive packaging for passengers and cargo. 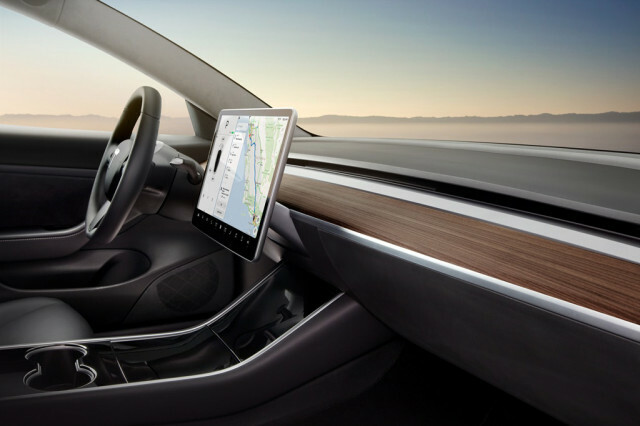 But most of the questions and gripes surround the Model 3’s interior, its assembly quality, and the perceived quality of up-close details. That said, we’ve found a level of Apple-like elegance to the interface itself. We appreciate how, out of more than a half-dozen Model 3s that we’ve collectively sat in, the interface has never felt laggy. Assembly quality and up-close materials-quality leaves a lot to be desired. We’re not out to draw any conclusions on those latter observations. Answers will be provided, eventually, by organizations that keep statistically sound metrics on reliability, durability, and owner satisfaction. 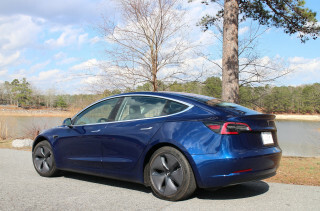 As we stated in our nomination post for the Model 3, Green Car Reports' Best Car To Buy 2019 award is about the car and not the company, its drama, or its chief executive officer. Additionally, our award always has been more about innovation and a vehicle's place in driving change than the hard-and-fast, dollars-and-cents reality. - Represents the forefront of complementary technologies. On the ownership front, versus our other nominees, the Hyundai Kona Electric and the Jaguar I-Pace, the Model 3 is the only one that you can take on a cross-country road trip and be sure you’ll make it, today, on multiple potential routes, without having to resort to much slower charging options. Vehicles from Tesla, without exception, have held their resale value well. And you have to look hard to find a Tesla owner who’s unhappy with the ownership experience. 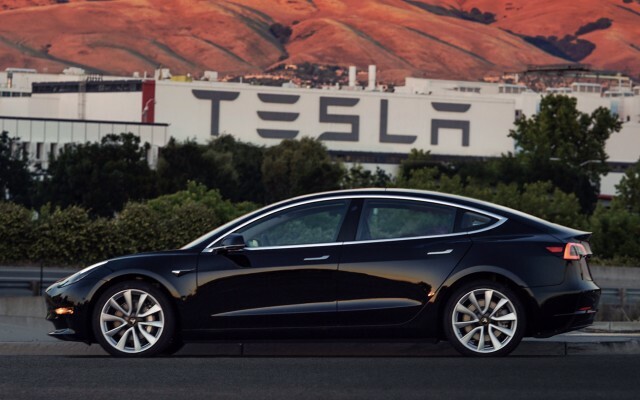 READ MORE: Lower-cost Tesla Model 3: Does 260 miles, $46K before incentives split the difference? Tesla’s cells and battery packs are made in Nevada at the Gigafactory, which aims to be 100 percent solar by the end of 2019. 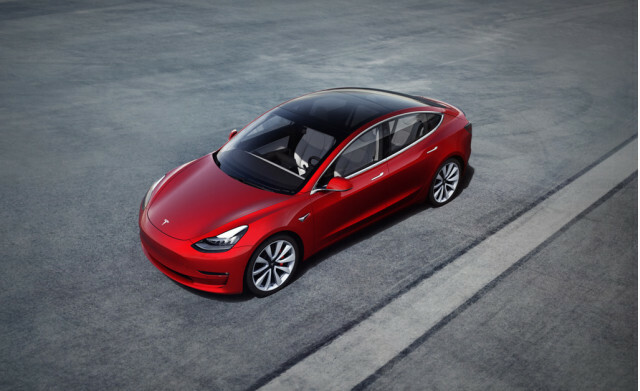 In terms of the efficiency of the product, the Model 3 has a higher EPA-rated range per kilowatt-hour of any longer-range electric vehicle. Although some of the credit might go to the new Panasonic 2170 cells, Tesla’s expertise in power management appears to be a generation ahead of everyone else. There's a final point to underscore: Tesla is also making the biggest difference in reducing greenhouse-gas emissions by truly making (and selling) as many electric cars as it can build and, against all odds, creating and sustaining that demand. Congratulations to Tesla, and to its longtime partner Panasonic, for achieving such a product.